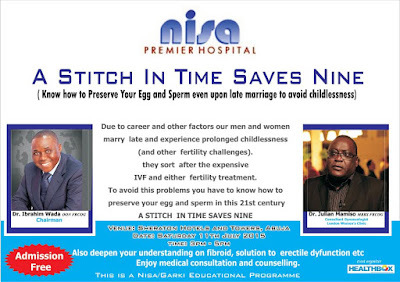 Due to career and other factors our men and women marry late and experience prolonged childlessness(and other fertility challenges) . They sort after the expensive IVF and other fertility treatment. 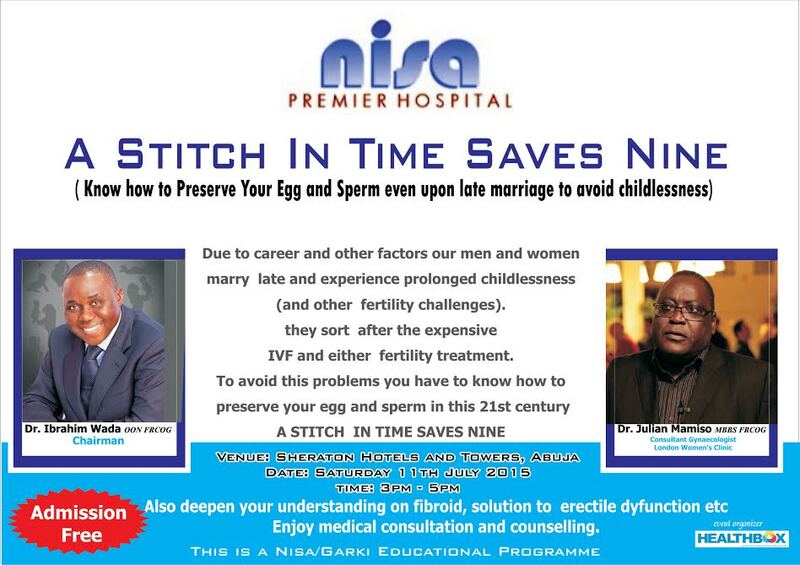 To avoid these problems, you have to know how to preserve your egg and sperm, in this 21st Century. A Stitch In Time Saves Nine. 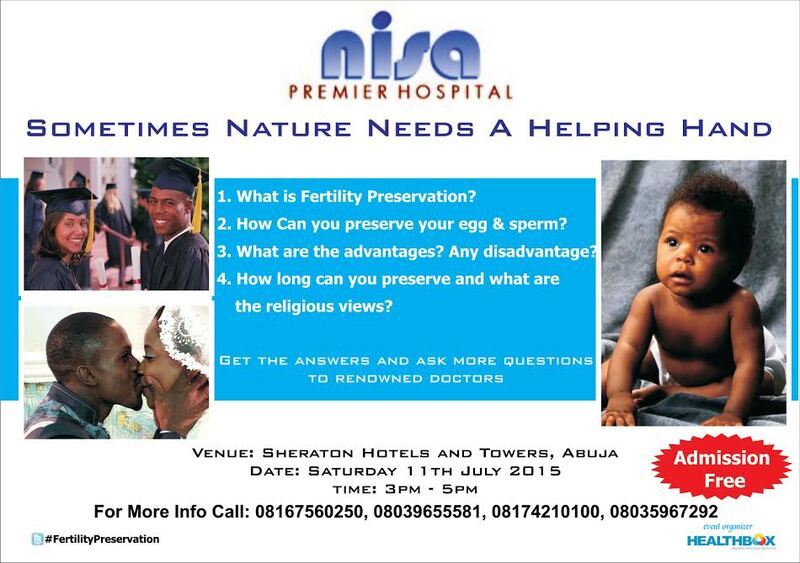 Venue: Sheraton Hotel & Tower, Abuja.